My best friend told me that I'm one of her mom role models, and my heart about burst. I feel so honored and humbled that someone sees what I'm doing and thinks I'm doing it well. As I walked my son out of gymnastics, though, and saw moms coming in with unrumpled (which spell check tells me isn't even a word...) clothes and water bottles they had clearly remembered to bring for both themselves and their children. The first thing I thought was, I don't see myself in these other mothers, these moms who look like they have it all together. I run around with, at a minimum, a mild level of panic in my chest, at pretty much all times. I'm going to forget something. I do forget things. I've planned for weeks to go reserve the park for my kids' birthday party, and as I rushed around, in my thirty minutes between work and picking up the kids (which I have, at most, once a week), I still almost didn't get to the office to make the reservation. I felt waves of guilt and worry. What if I didn't get there? When would I have time again? How had I left this so long? So...what do I do about that? I've spent years telling myself to calm down or do less, and, at times that works. I'll change the way I manage my life, the number of things I do, and then, gradually, it all creeps up on me again, and I worry that I'll not only forget something but miss out on something important with my kids. Clearly, I need to revisit these promises and resolutions. Once again, I'm slowing down. In the mornings, my son wants to cuddle. He runs out of his room and asks to lie in our bed and cuddle. If I'm already up, I finish my morning routine, load the car, set an alarm (because at 6:30 in the morning, chances are strong that I'll fall back asleep), and climb into bed beside him. That may mean the dishes don't get put away, the photos don't get edited, the living room doesn't get tidied and ready for the vacuum. But my son feels loved. My son won't always want to cuddle with his mama, but being my mother's child, it's really hard for me to set aside the chores or the other tasks. 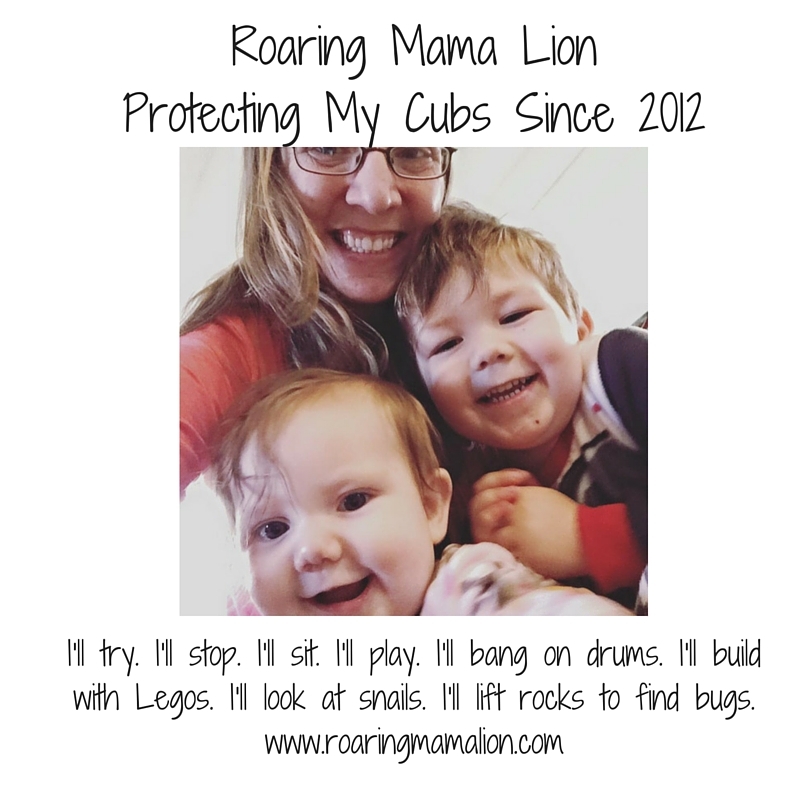 This might be easy for some moms, but it's hard for me to leave a mess, to allow things to build up beyond my control - I don't want to get overwhelmed by a list of things to do. I don't do well when I'm overwhelmed. Ask my husband. I'll try. I'll stop. I'll sit. I'll play. I'll bang on drums. I'll build with Legos. I'll look at snails. I'll lift rocks to find bugs. I will accept that I won't have it all together, but I'll have my kids.